Homeowners often stop by our Indianapolis flooring store to ask about hardwood flooring options. Hardwood floors are one of those things that never go out of style. Long lasting wood floors seem to look better as they age and they are a beautiful addition to nearly any room of the house. Maple, pine, cherry or exotic woods like teak or mahogany are what people are most often requesting. Today we'd like to introduce you to two other hardwood flooring options. Two options that are often more budget friendly and yet still have all the durable, warm, beautiful qualities of traditional hardwoods. Harvested from the bark of cork oak trees and made from the by-products of wine bottle stoppers, cork is a natural and renewable material. It's been used for centuries but is just now gaining popularity as a flooring choice. If you're looking for an enduring, green floor choice, look no further than cork. 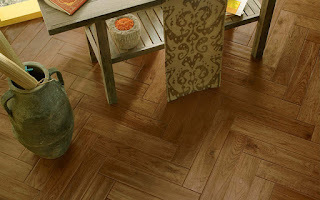 Learn more about cork flooring from Indianapolis hardwood flooring store Kermans. Durable. It resists cracking and abrasions and is impermeable to liquid. Cork flooring also bounces back, so indentations caused by furniture won't be permanent. When properly maintained, cork flooring can last 40 years or more. Safe. Fire-resistant, cork will melt or ignite only at very high temperatures. Versatile. Cork flooring is available in tiles and planks in many styles, colors and sizes. Use planks to create an almost seamless-looking floor, or use tiles in single or alternating colors to create a nontraditional effect. Bamboo is comparable to hardwood flooring in many ways even though it is actually made from a type of grass. This flooring option is another environmentally friendly way to incorporate the look and feel of natural wood in your home. The use of natural materials is a big trend in flooring and home construction right now. As people are becoming more ecologically conscious they are demanding products that reflect these values. Bamboo flooring is a natural and smart floor option to consider for nearly any room in your home. Learn more about bamboo flooring at Indianapolis flooring store Kermans. Easy to maintain. Sweep it regularly to remove dust and debris. You can also occasional damp mop it or use a damp rag to remove a stubborn stain or spill. Water Resistant. Bamboo is more resistant to water damage, stains, and warping than hardwood materials. Bamboo naturally grows in the tropics making it a more suitable option for the kitchen, bathroom, basement, or laundry room. Bamboo also does well in both arid and humid climates because it does not swell and contract like hardwood. Stylish. Bamboo is a trendy flooring material that can elevate the elegance of a space almost instantly. It has an appearance and a feel that is similar to hardwood and yet, is still distinct and different. Durable. There are certain types of bamboo that can be extremely strong, hard, and durable. Natural, bamboo that was properly harvested is more durable than many types of hardwood. Strand woven bamboo can be manufactured even harder than red oak - commonly thought of as the hardest of the hardwood floors. 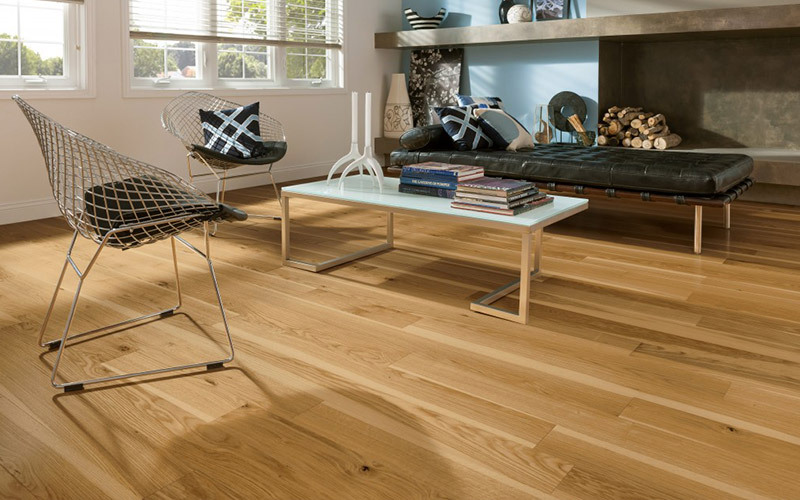 A Strand Woven Bamboo Floor has twice the hardness of Domestic Oak. 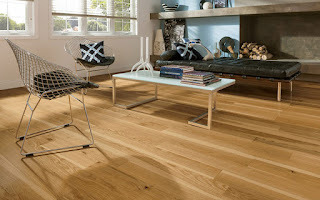 Yes, you read that correctly- Mohawk Strand Woven Bamboo flooring is twice as hard as Oak! Mohawk’s Strand Woven Bamboo manufacturing process uses parts of the bamboo stalk that weren’t traditionally used, making this flooring incredibly tough and eco-friendly. The bamboo strands are then pressed together and put under high pressure to form blocks which will ultimately be sawn into flooring planks. As a result, your high-traffic is no match for this tough surface. Your Mohawk Strand Woven Bamboo floor even comes with a 25–year residential warranty and a 3–year commercial warranty to guarantee superior performance. Now that’s confidence! Stop by Kermans Indianapolis flooring showroom to learn more about this popular Mohawk floor option.